It looks like there are 11 titles available for kids. My pick for favorite issue of the day? And for those of you in Omaha, Krypton Comics has multiple artists doing free sketches, including “Into the Void” artist, Jim Mehsling. See you there! Totally, the Wasp – right? Finally, some interesting news out of New York Comic Con. 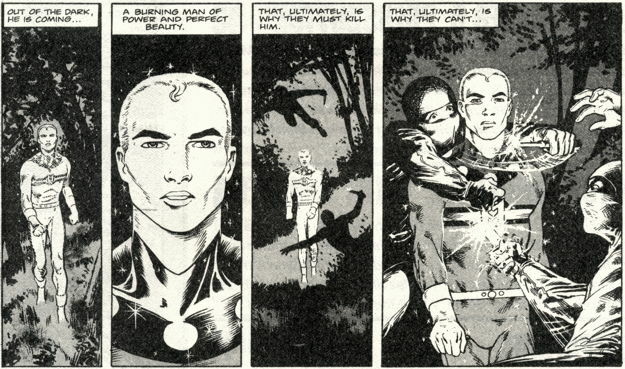 “Miracleman” is back – both classic reprints and new stories. This title holds significance to me, since it was one of my favorites back in the 1980s. It also holds historical value, as two of the most-renowned comic writers of the era – Alan Moore and Neil Gaiman – carried the title through its 24 issue run in the modern era. The saga and intrigue behind the comic are almost as tangled as the fictional story contained within the pages. Miracleman actually began as “Marvelman”, and he was introduced to readers in 1953. Marvelman – Kind of square. Marvelman’s early adventures paralleled the “Captain Marvel” series familiar to many readers. Marvelman’s secret identity was Mickey Moran, a cub reporter who was granted powers based on atomic energy. When saying his secret word “KIMOTA!”, young Mickey transformed into an older, muscule-bound hero who could fly, was super strong, and possessed near invulnerability. As long as you don’t actually say the “S-word” (shazam), you can dodge copyright law. One can see where the publishers of “Captain Marvel” were not amused by the title’s similarity. Especially once they expanded the Marvelman Family, introducing Young Marvelman and Kid Marvelman. 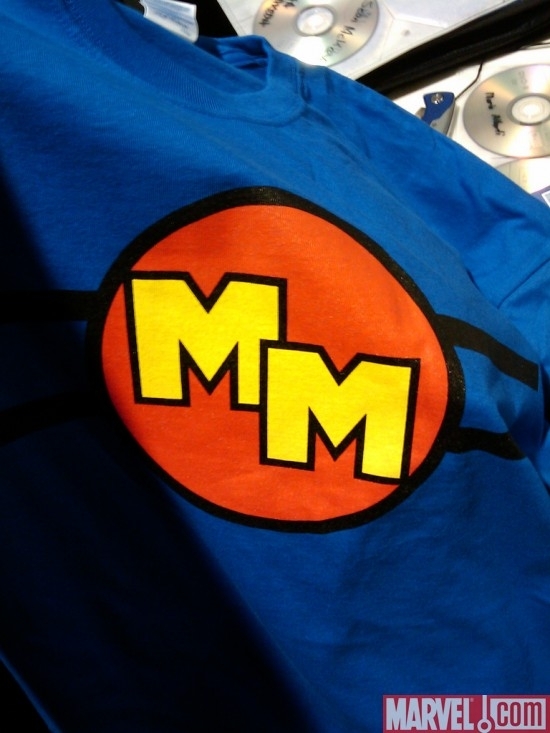 The original run of Marvelman lasted about 10 years before it, and its Marvelman family spin-offs. Were cancelled. In 1982, Alan Moore brought the character of Marvelman back to print in the pages of Warrior magazine, a British comic anthology that also birthed “V for Vendetta”. This incarnation of the Marvelman story picked up with a much older Mickey Moran. As the story kicks off, Moran is middle-aged, married, and plagued by headaches. He has no memory of his adventures as Marvelman. When a terrorist attack sparks him to recall, dimly, his “magic word”, Marvelman is reborn back into the world. The 1980s Marvelman series is far more adult fare than the previous series, and Alan Moore uses the series to prod at some more serious issues that comic writers still reference today. What is the world like when there is a super-powered being? What responsibilities does he have to humanity? And, most important, is it even possible to anything but a monster, out of touch with a world inhabited by normal people? Yeah. It got a little more serious than the old series. In 1985, Eclipse Comics began reprinting the stories from Warrior, and then published new material. Eclipse changed the name to “Miracleman” due to pressure from Marvel Comics, and Alan Moore continued the story he began in Warrior. 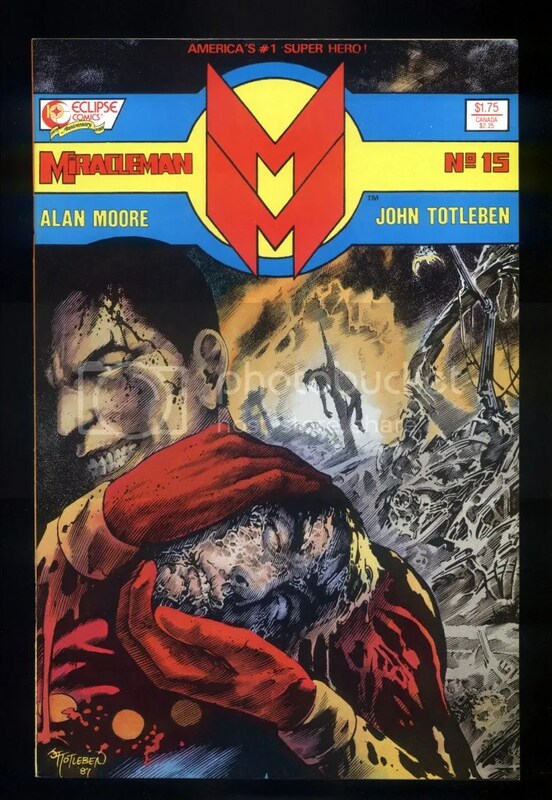 The story took ever darker turns throughout the run and one could literally watch Moore changing the face of superhero comics during his run on MIracleman. Moore left the series after issue 16, and the Neil Gaiman took over writing duties. During Gaiman’s run, the series took ever more cosmic, philosophical tones. Then, the story of Miracleman abruptly and unexpectedly ended with issue 24. Publisher, Eclipse, fell into financial ruin. They closed their doors in 1994, the 25th issue of Miracleman complete, but unpublished. In 1996, Todd McFarlane swooped in and purchased the rights to all of Eclipse’s intellectual property for $40,000. The guy likes to collect things that might be worth some money, someday. That’s all I’m saying. 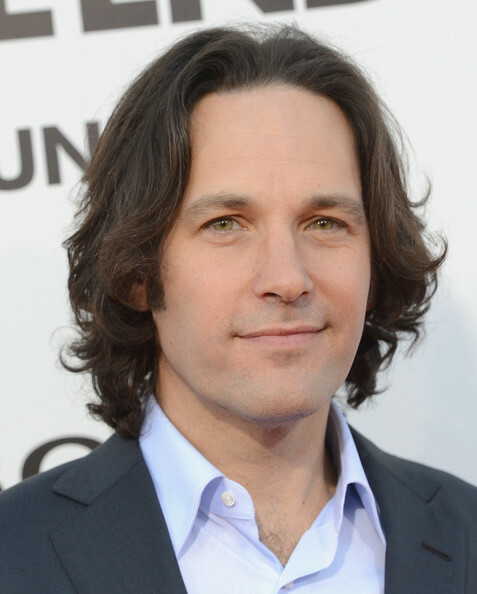 However, the rights issues for a character with such a complicated history were not easily disentangled. Many “owners” staked claims to the character. McFarlane actually used the character of Mike Moran in the pages of his “Hellspawn” comic, only to have a lawsuit prevent the planned unveiling of Miracleman in “Spawn”. Former Miracleman writer, Neil Gaiman formed Marvels and Miracles in 2001, LLC to try and clear up the rights to Miracleman. At that point, the comics had been long out of print – lost to a whole generation of comic book fans. Problematic for those who did want to read this title was the scarcity of issue #15 – the conclusion of the Alan Moore’s story arc. Without any collected editions of the material available, issue 15 regularly fetched a hefty price. A recent search on eBay reveals complete runs of Miracelman 1-15 selling for $330 dollars and individual copies of #15 bringing in $100. The elusive 15th issue… Kinda dark, if you ask me. Gaiman spent the better part of a decade trying to clear the rights for reprints and future stories of this once hot hero. At San Diego Comic Con in 2009, Marvel Editor-in-Chief Joe Quesada excited fans at his “Cup o’ Joe” panel with the announcement that Marvel Comics had completed the purchase of the rights to Marvelman. However, the announcement didn’t clarify much on what that meant for the future of Marvelman/Miracleman in the Marvel Universe. Am I bitter that I was at the panel, but didn’t get a shirt? Only a little. At the 2013 New York Comic Con, Marvel formally announced that they have – finally – solidified their rights to the character and that they will be releasing reprints of the Eclipse series. After the reprint of the 24 issue run, Neil Gaiman will finally complete the unfinished story arc he began over a decade-and-a-half ago. This may be the longest any fans have waited for the conclusion to a story in the recent history of comics. This is truly a momentous occasion. The Miracleman comic has been unavailable for far too long. Penned by two titans of the printed page, it’s almost unbelievable that the title has received so little attention. When I read (and re-read) the series in the 90s, it was a powerful story that mined new territory in the“superhero” genre. I just pulled out my bagged and boarded copies of the original Eclipse run and will post thoughts on re-reading the series soon. For any fan of Alan Moore, though, the title shows off his development and maturation in a critical phase of his career. And the Neil Gaiman run was groundbreaking at the time. Over the course of their careers, both Moore and Gaiman have produced even more powerful, memorable ongoing series. The restoration of “Miracleman” will allow fans to see an important evolution in the careers of both those storytellers. DC/Vertigo: Which is better “Preacher” or “Y:The Last Man”? “Y” isn’t perfect, but it kicks the rear of the “Preacher” series. Intelligent commentary is welcome in the comments. This started as a Facebook argument between Bob and me, so I hope you’ll all feel free to chime in. If you really like Preacher, you’ll have to count on Bob to have you back, though.